I love eating here. Especially the food. 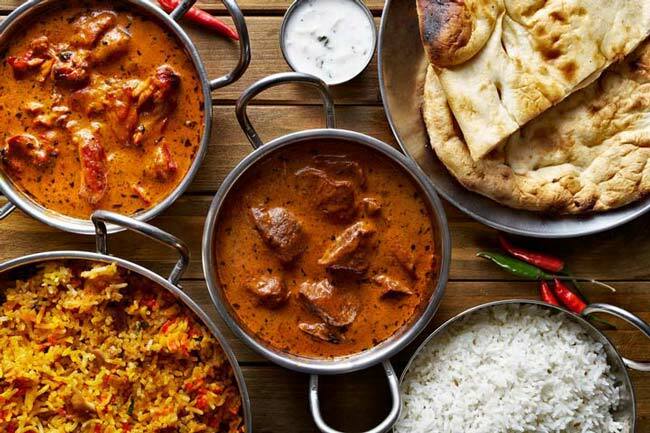 Delicious Indian food. Try the chicken korma or the lamb curry alongside garlic naan - you won't be disappointed. Delicious North Indian food in the heart of JP. I recommend the lamb saag and the okra vegetarian dish, and the butter paratha is quite tasty as well. Reasonable prices on par with Indian places across Boston. pretty good indian food. good lunch buffet selection. My favorite Indian place. Dinner for two is so worth the price. Plates are always well presented and taste really good! This is my go-to place for a good Indian food lunch buffet in a comfortable setting. Good value for above average Indian food. A couple of vegetarian options on the buffet plus salad. Spicy spinach cooked with pieces of fresh home-made cheese. Served with papadum, rice and chutney. Fresh homemade cheese cubes sauteed with ginger and garlic in a light tomato cream sauce with cashews and raisins. Served with papadum, rice and chutney. Diced boneless, white meat chicken Tandoori style and cooked in a rich tomato cream sauce. Served with papadum, rice and chutney. Boneless chicken cooked with exotic spices, herbs, nuts and mild cream sauce. Served with papadum, rice and chutney. The universally popular butter chicken in a tangy tomato gravy. Served with papadum, rice and chutney. Unleavened bread baked in a clay oven tandoor. Bukhara Indian Bistro is the best when you want a combination of friendly staff, excellent service, and delicious Indian cuisine. With the help of high-quality ingredients, taken fresh from the market, we aim to keep our customers happy and satisfied. Allow your body to experience the guilty pleasure of Indian spices by dining at Bukhara Indian Restaurant. It will be a gustatory journey you will have a hard time forgetting! We also provide an elaborate feel of a high-end Kashmir Restaurant. Our menu entails a variety of dishes that range from beverages, appetizers, soups, main course, to desserts. Pick your desired one from our hot favorites, like Meat Samosas, SaagPaneer Entree, Murgh Korma Entree, Garlic Naan, and so on. The countless options on our menu have the ability to melt the hearts of all our customers. Keep India alive in your life by relishing its tasty cuisine.